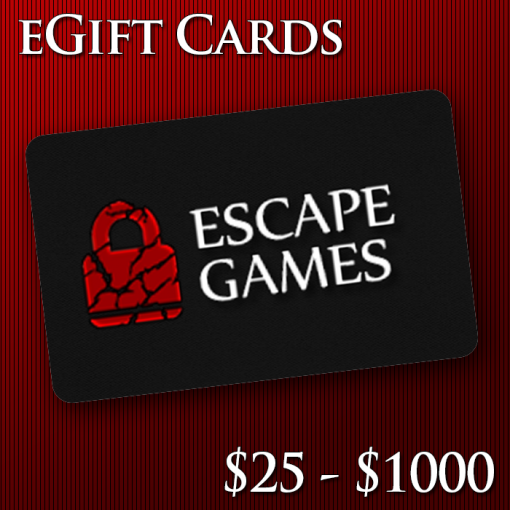 This variable amount gift card can be used as cash at any Escape Games Canada Location. A gift card code will be sent to the recipient and a receipt and confirmation email will be sent to the sender. 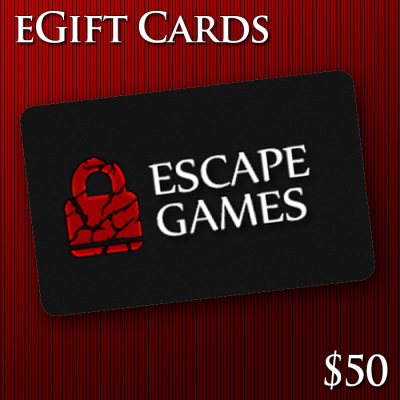 The code can be presented in store either physically printed, or electronically via a mobile device. Refunds can be issued if declared 10 minutes before the start of the game. Gift Cards can not be exchanged for cash, only reloaded in case of a refund. A game cannot be played if the minimum number of players is not met.